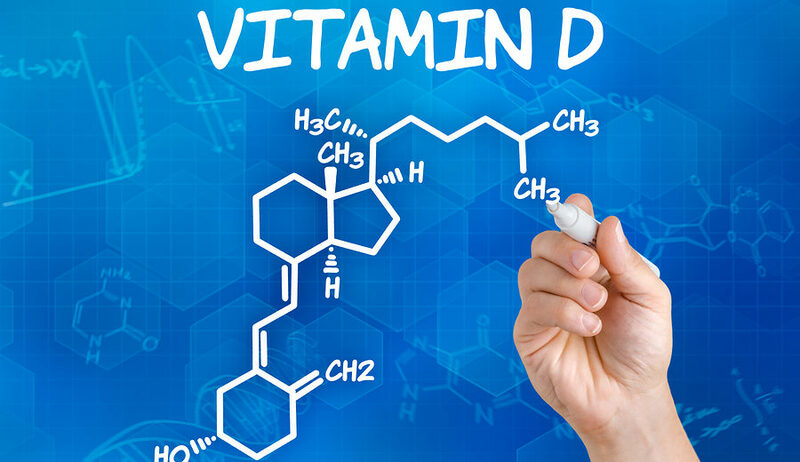 Vitamin D -- Information about this important nutrient. Because vitamin D can come from sun, food, and supplements, the best measure of one’s vitamin D status is blood levels of a form known as 25-hydroxyvitamin D. Levels are described in either nanomoles per liter (nmol/L) or nanograms per milliliter (ng/mL), where 1 nmol/L = 0.4 ng/mL. Older adults, because their skin doesn’t make vitamin D when exposed to sunlight as efficiently as when they were young, and their kidneys are less able to convert vitamin D to its active form. The upper limit for vitamin D is 1,000 to 1,500 IU/day for infants, 2,500 to 3,000 IU/day for children 1-8 years, and 4,000 IU/day for children 9 years and older, adults, and pregnant and lactating teens and women. Vitamin D toxicity almost always occurs from overuse of supplements. Excessive sun exposure doesn’t cause vitamin D poisoning because the body limits the amount of this vitamin it produces.